Located on the shore of Lake Maggiore, the Hotel Eden Roc is a dream destination for watersports enthusiasts. The Hotel Eden Roc has a 2,000-square-meter spa offering a combined in-and outdoor swimming pool, hydromassage showers, an ice fountain and seven treatment rooms. 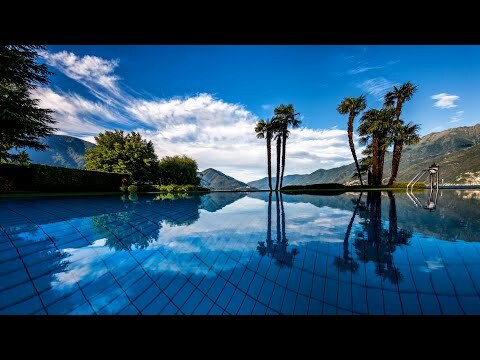 The two buildings are connected by a walkway overlooking Lake Maggiore– the activities hub of the town, which guests can enjoy from the private beach, enormous sunbathing lawn and watersports center. The four fantastic restaurants range from gourmet Mediterranean cuisine at La Brezza, to light, local fare at the lakeside restaurant, La Casetta, housed in a separate villa, and classic or spa cuisine at restaurant Eden Roc. The newly acquired Eden Roc Marina adds sixteen contemporary rooms to the existing hotel, three Carlo Rampazzi–designed meeting spaces, and the al fresco Marina restaurant, perfect for celebrations and afternoon cocktails. The resort is poised for adventure with a private beach, yacht harbor and a range of watersports, from wakeboarding to waterskiing. The four outstanding restaurants, all awarded by GaultMillau, offer cuisine ranging from casual Med fare to seasonal haute cuisine. Perched on the shores of the pristine Lake Maggiore, Hotel Eden Roc Ascona feels tucked away despite being just a short walk from Ascona’s piazza.